As the year ends, the temptation to dust off the hands and say "Well, maybe 2014 will be better" is a strong one. But as we look ahead, it can't hurt to remind ourselves of some of the victories won in this country over the last twelve months. There were victories won by the courageous efforts of individuals, like Edward Snowden who followed in the footsteps of Chelsea Manning and ripped the lid off the massive snake pit of government spying on US residents and peoples and leaders around the world. 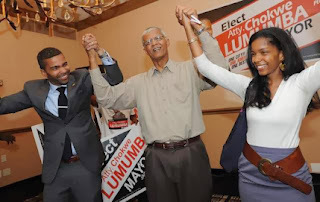 There were local victories whose impacts created national ripples, notably the election of longtime fighter Chokwe Lumumba as mayor of Jackson MS. His victory in one of the old strongholds of Jim Crow racism gave heart to many in the Black liberation struggle. The immigrants' rights struggle, spearheaded by young "dream warriors" has kept the issue to the fore and caused serious splits in the most reactionary wing of US bourgeois politics. Low wage workers, with organizational help from unions like the UFCW and SEIU and from local workers center-type outfits, have set back Walmart, McDonalds and their ilk and created public opinion for a higher minimum wage. 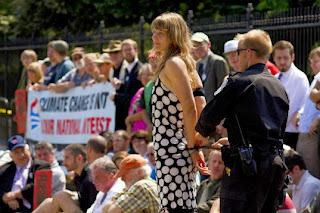 The environmental movement has ramped up the struggle against fossil-fuel caused global warming. Both the national drive to block the Keystone XL pipeline and the locally-based anti-fracking struggles have drawn strength from closer links to First Nation activists like those in Idle No More. Resistance to the "education reform" steamroller took a big leap, undermining the billionaire-funded drive to privatize and industrialize education and crush teacher unions. The biggest victory of 2013, though, is one that is too easily overlooked. For the first time, the people of the US stopped an imperialist war before it could start! The Obama administration and a substantial chunk of the ruling class were hellbent on an unjust and unjustifiable attack on Syria. Popular opposition stalled, then killed, their plan. To be sure, there were favorable circumstances. George W. Bush's catastrophic invasion and occupation of Iraq tainted any push toward further imperialist adventures in the Middle East. The people of the UK, whose rulers had walked in lockstep with ours on Iraq, forced Parliament to vote No on this one. Racist hatred for Obama by Congressional Republicans and their teahadist supporters back home dried up what would normally have been a deep pool of support. Most importantly, the anti-war movement during the preceding decade had reminded the people of the US of the bitter lessons of the Vietnam War and drawn new ones from Iraq and Afghanistan. Despite a morale-sapping decline since the powerful days of 2003-7, anti-war forces rallied heroically in the crisis and provided the spearhead of resistance. But what did the trick was ordinary everyday people. Polls showed that opposition to even the promised "limited attack" on the Assad regime ran as high as 80%. Local protests were backed up by a rapid outburst of rejection, with literally millions of calls, emails, petition signatures and letters to the editor bombarding the White House, politicians and the media. The message was simple: Don't Do This Thing! And we won. There was no attack on Syria, no subsequent escalation, no new quagmire. The civil war in Syria grinds brutally on, fuelled by money, arms and combatants from outside the country, much of it from the US and close allies like Saudi Arabia and Turkey. But who can doubt that direct US intervention would have made things worse for the people of Syria and the whole region? Keep Your Christmas! It's Maosday For Me!